You may think you know the story of Guinevere, but you've never heard it like this: in her own words. Listen and you will hear the true story of Camelot and its queen. If you could sum up Daughter of Destiny in three words, what would they be? What was one of the most memorable moments of Daughter of Destiny? I loved the introduction of Guinevere. Too often her character is made to be this evil villain, rather than a pawn in the games of men. Learning about her history and the talents that she possesses was enlightening and important to the story. Any scene involving her Lover. While not all were happy moments it offered a glimpse into the other relationship that Guinevere had. This book made me thoughtful. I have read about King Arthur and the Knights of the Round-table since I was a young child, and every telling painted Guinevere in an unflattering light. This book changed those preconceived notions and I am very excited to read the future series. I have always been interested in British history. It is rich with what could be fact or fantasy, but either way, always fascinating. The story of Guinevere, Authur, Knights of the Round Table, Merlin-all of it-takes us back to a time in history where even speculation is remarkable given that it was so long ago. People are still telling the story. Even with the most meticulous research, the truth will never really be known. I think that is the reason it can still be told and augmented with the author's imagination. 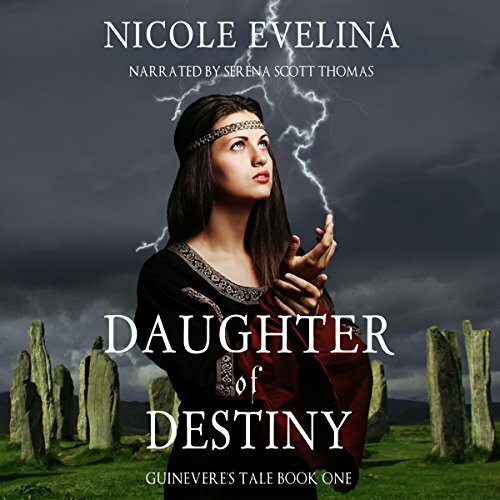 Daughter of Destiny: Book 1 is the story of Guinevere's early life, from 11 years old to about 16, when she is betrothed to Authur. From what I have read previously on this subject, there are variations from what may or may not be the truth. Who really knows? It was well written and Serena Scott Thomas does a fine job with the narration. This book was gifted to me for an honest review via Audiobook Boom! The next book in the series was also offered and I wish I had asked for that one too, as I really enjoyed this one! It was certainly a different take on the whole Camelot story.. I like this better. The narration was great, and you could truly feel for these characters. Yes, I love this take on Guinevere, in most stories about Merlin and Arthur she is seen as little more than a wife and then a betrayer. 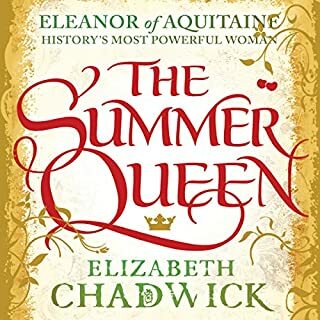 This book covers Guinevere's early life including her training at Avalon and it shows her in a new light, here we see her as a complete person with strengths and weaknesses, likes and dislikes etc. What about Serena Scott Thomas’s performance did you like? I loved the character voices, the male voices were very well done which is always a challenge for a female narrator. Serena's narration allowed me to get lost in the story. Yes, many times, both the story and the narration managed to draw me in and make me feel attached to the characters so I felt their joys and sorrows, loves and despair. If you like the story of Guinevere, Arthur and Merlin then I doubt you'd be disappointed by this telling of the story. 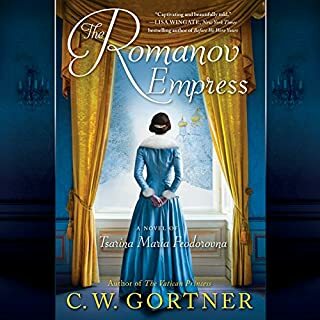 I loved this book (in case the 5 star review didn't make that clear), I'm already looking forward to the next book and I'm hoping there are several more to come. I received this book in exchange for my review and I could not have been happier with it. I loved this look at Guinevere from both a more humanistic and more female centric view point. 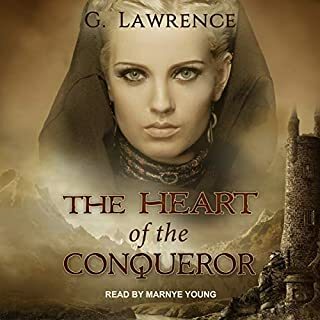 Guinevere is written about in a less than favorable light in almost every historical text and it was past time someone wrote about her with compassion. Like a great movie, I will listen to this again and again. The narration is soothing. The story is wonderful. Such an enjoyable listen. I received this book free from ebalst, and this is my unbiased opion. the Camelot story has been retold so many time, and this book puts a few new twists to it. 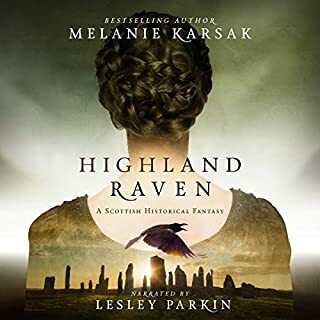 if you like the Author legends it is worth a listen. A different take on Guinevere! 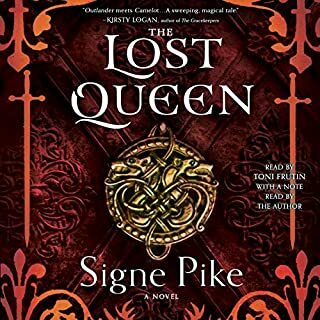 Where does Daughter of Destiny rank among all the audiobooks you’ve listened to so far? Top 20 percent. I did enjoy this story but it was very sad. The way that Guinevere was mislead and betrayed by Morgan was terrible. Almost made me want to stop listening, it became that upsetting. I really enjoyed Guinevere's character. She was a good person inside that was taken advantage of and used terribly. I wanted to save her myself. But this first book is mostly about her growing up at Avalon and being a Priestess. I disliked Morgans character but I enjoyed the performance by Serena Thomas. She did very well with the voices. There were moments where I was sad for Guineveres situation. She should of followed her original Lover and never gone to Arthur. I really enjoyed listening to this Audiobook. 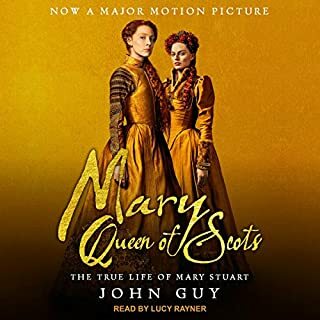 I received This Audiobook for free from Audiobook boom in exchange for an unbiased review. What did you love best about Daughter of Destiny? Which character – as performed by Serena Scott Thomas – was your favorite? All of them! She did an awesome job! “I was voluntarily provided this free review copy audiobook by the author, narrator, or publisher in exchange for an honest review." I LOVE NICOLE EVELINA'S TALE OF GUINEVERE! I found myself on a journey back in medieval times. I love Nicole Evelina's tale of Guinevere. I know that anyone who enjoys the tales of King Arthur will wish they were all told as well as this tale of Guinevere. I feel like I was truly there through out her life experiencing every moment with her. Thank you Nicole Evelina! Serena Scott Thomas is amazing and was perfect for the voice to all the characters in this book. "I was voluntarily provided this free review copy audiobook by the author, narrator, or publisher."